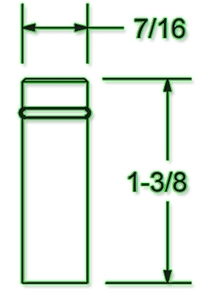 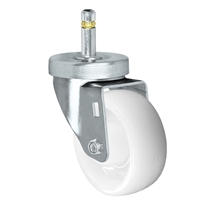 Grip Ring Stem casters also known as Friction Ring Stem Casters are meant to be inserted or 'popped' into posts or wooden legs with a 7/16" Hole. 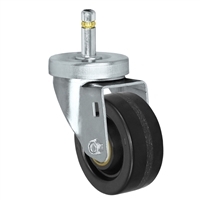 We offer many wheel sizes of grip ring / friction ring stems with multiple wheel material combinations such as a hard steel wheel to a soft thermo plastic rubber material to protect floors. 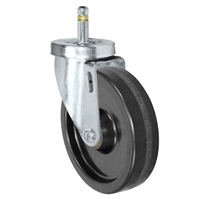 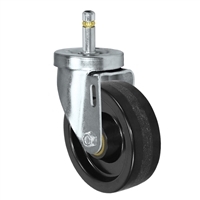 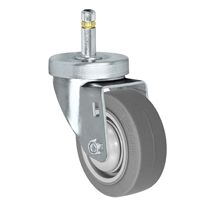 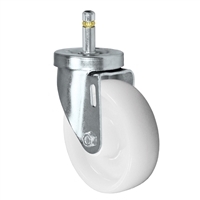 Grip Ring Stem Casters are a great way of converting your stationary unit or equipment into a mobile unit when you lack the space for a standard plate caster. 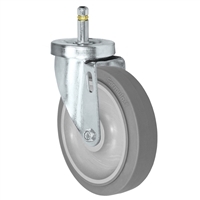 Semi-Steel wheels are meant for smooth concrete floors and are easy to roll as long as it's able to swivel and roll without debris or obstacles on the floor. 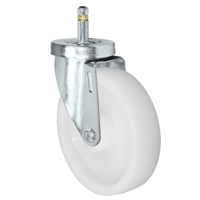 Thermo Plastic Rubber wheels are great for rolling over debris, obstacles, and absorbing shock and vibrations. 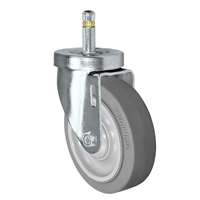 Thermo plastic rubber has slightly less weight capacity compared to a steel wheel but it is our most popular and commonly used caster in a broad variety of applications to protect floors and equipment.